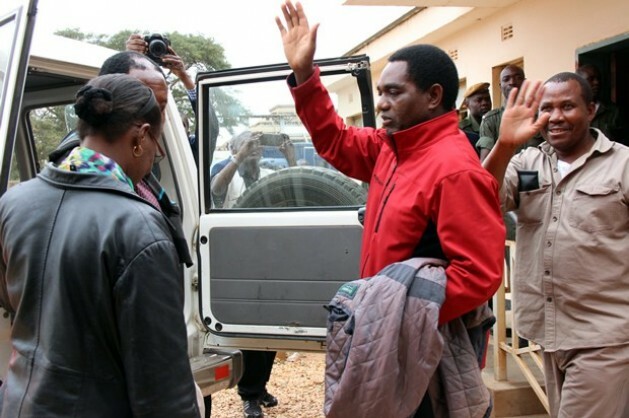 I would like to inform the general party membership and the nation that UPND president Hakainde Hichilema and his family are safe and secure at their New Kasama residence. This is despite alleged attempts by state police to conduct another late night raid on his residence to arrest him for unknown reasons. I would like to commend the members led by Lusaka Provincial Chairman Hon Obvious Mwaliteta who rushed to the residence in the night and have remained vigil until this moment. I appeal to the nation to remain calm as we remain ready to defend and protect the president against any forms of political and state intimidation and victimisation. The nation and the party in particular will be kept informed of any latest development.